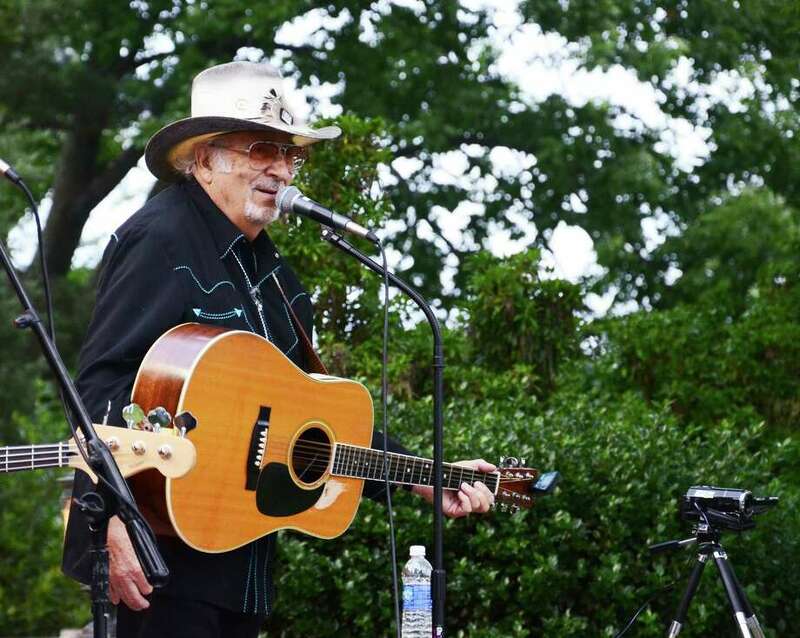 Country music veteran Nick DeMaio Sr., also known as "The Ambassador," plays the guitar and sings with Gunmoke at Waveny Summer Concerts Wednesday, June 25, 2014, at Waveny Park, New Canaan, Conn.
New Canaan's Waveny Summer Concerts drew hundreds of residents Wednesday, June 25, with festival veterans Gunsmoke, a Darien-based classic country band that's been performing at the concert series for nearly 30 years, according to Recreation Director Stephen Benko. The first time the band performed at the festival was in 1985 and it hasn't missed a year, he said. The award-winning group is made up of Nick DeMaio, Nick DeMaio Jr., Nick DeMaio III, Jeff DeMaio, Christina DeMaio, Van Manakas and Fooch Fischetti. They have recorded four albums, all of them in Nashville, Tenn. The band is a member of the New York and Connecticut country music halls of fame and is a six-time recipient of New York Metro Band of the Year. The concert series, which is organized by the town's Recreation Department, continues every Wednesday from 7:30 to 9:30 p.m. at Waveny Park until Aug. 28. This year's performers include jazz group Airborne, acoustic pop singer Doug Allen and rhythm and blues band Billy & the Hurricanes. The rain dates for all concerts are the Thursdays immediately following the scheduled show. Concertgoers are welcome to bring a picnic supper, but grills are not allowed. To view more concert photos, visit newcanaannewsonline.com.